The Seattle Storm won't be waiting by the mailbox for an invitation to the traditional champions' visit to the White House. Should one come from President Donald Trump, they will be sending their regrets. 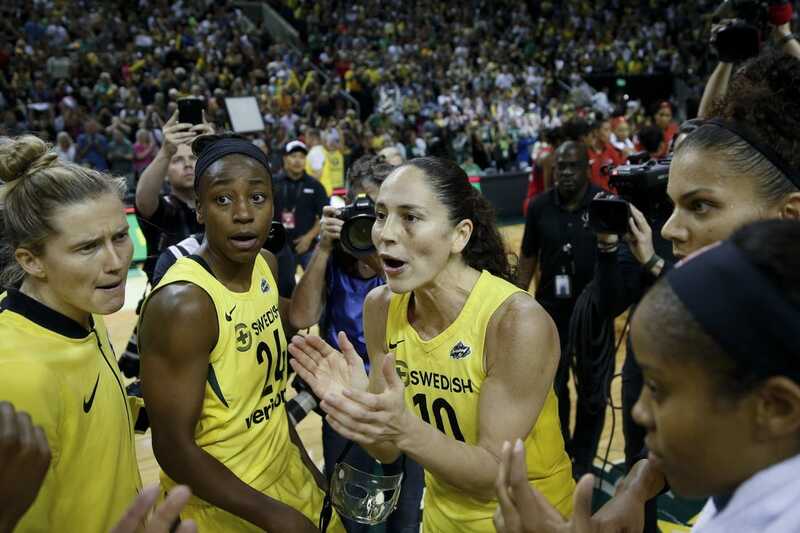 Veteran point guard Sue Bird said she and her teammates, who won the third championship in team history Wednesday night when they beat the Washington Mystics, have no desire to go to the White House. The 2017 WNBA champion Minnesota Lynx were not invited by Trump. "I'm sure [the president] is going to say we're not invited anyway," Bird told KING5 in Seattle on Thursday, "so it all works out well." In 2017, Trump uninvited Curry's Golden State Warriors after they won the NBA title. He has sparred with Curry and other NBA players on Twitter. Trump canceled a planned White House visit by the Philadelphia Eagles after they won the Super Bowl in February. Bird, 37, visited the White House in 2010 with the Storm and with Connecticut after winning the 2002 NCAA championship. "Now, that's not the case anymore. It doesn't feel exciting. Nobody wants to go. It's totally changed. And that's disappointing, because it used to be, like I said, something that most athletes would look forward to."